What is it about monograming that we love so much? 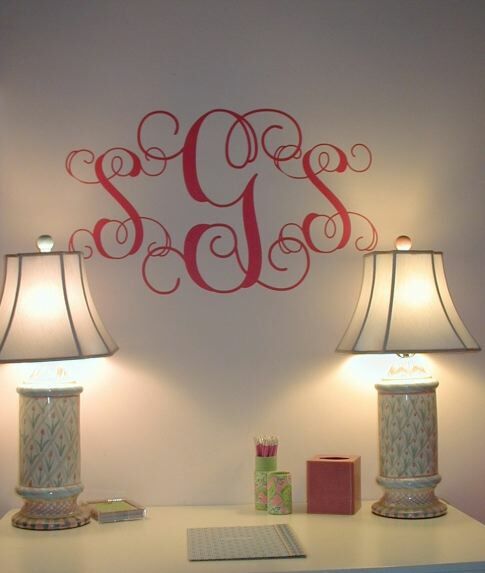 I love this monogram for the wall in your child’s room or office. The Roberto Cavalli Store at NorthPark here in Dallas has his monogram at the entrance and it is all done in Swarovski crystals. It is magnificent. We all know about monogramming sheets, towels and linen dinner napkins but I like to think outside the box and do more unusual items. Slip cover your dinner room or breakfast chairs with your monogram, luggage, photo albums…the list goes on and it’s fun to receive and give as gifts something so personal. This year we made our own Christmas crackers for Christmas dinner. In each cracker we put a party hat, special gift for that person and monogrammed each cracker. Besides looking beautiful on the table each guest was very tickled to have their own and didn’t want to open them!!! Merry Christmas!!! Happy New Year!! 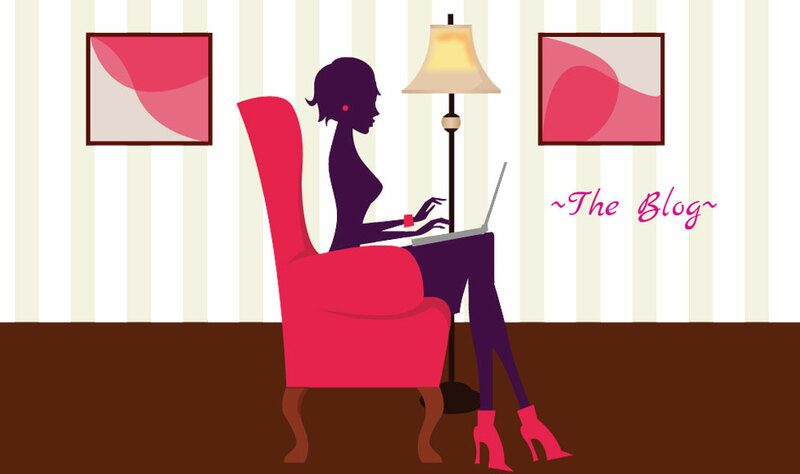 I’m taking a break for a week from blogging but will return the first week of January. I am doing a wedding on New Years Eve for 300 guests in downtown Dallas so will be busy with that but should have some awesome photo’s of the celebration and flowers. In the meantime enjoy yourselves and have lots of laughter and great food, surrounded by family and friends!!! See you next year!! If you haven’t become a friend yet now is the time to do so for this blog! This week I had a Christmas party and decided to serve a champagne punch. I made the ice ring for the punch out of a fancy bundt pan from Williams Sonoma and added some clemetines and cherries to the water. When it came out it looked so great that I decided to continue to make more and hang them as ice wreaths on a tree outside that had lights on it. In total I ended up with 6 wreaths to hang with berries and ivy in the ice. 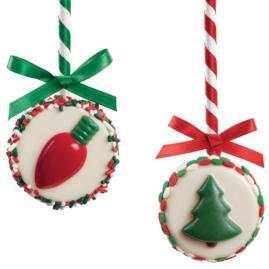 They last 24 hours on the tree and were a big hit with the guests. Different, easy and inexpensive!! 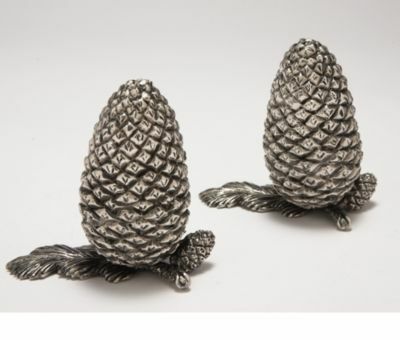 Dining Accents Delight Your Guests!! Here are a few ideas from our friends at Pierre Deux www.pierredeux.com. 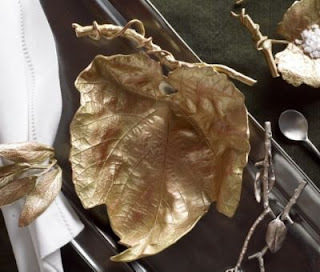 These gilded pewter grape leaf designs are fantastic. I love the peach pit spoons and the coffee bean tea spoons. 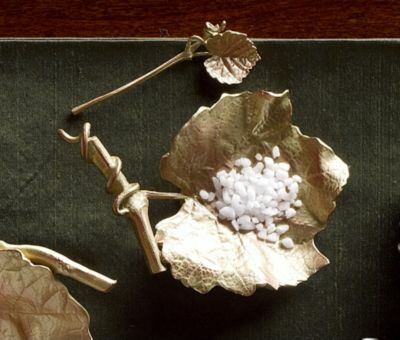 The napkin rings are gilded herbs. When doing your tabletop think of different theme’s and once you focus on an idea you will have so much fun finding the accessories to fulfill your design. Have Fun Making your Tabletop Interesting!! ‘Tis the Season to Bake!! Even if you aren’t a baker it seems that at this time of year everyone gives some baking a try. 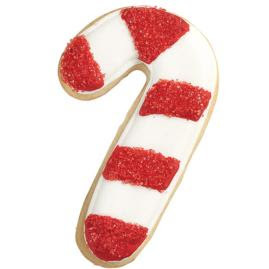 With cookie exchanges, children and entertaining most people are up for the fun and the challenge. Part of the secret besides sticking exactly to the recipes in baking is having the right equipment. Go to www.wilton.com to get some wonderful ideas and all that you will need for you and the the kids to tackle and have some baking fun! Christmas is for Children 103.7 Lite FM @ Children’s Medical! This Thursday December 9th through Saturday December 11th please tune in and listen to 103.7 Lite FM as they present “Christmas is for Children”, the ninth annual Children’s Miracle Network Radiothon – a 33-hour life changing event raising funds and awareness for Children’s Medical Center. Throughout the inspiring and encouraging event, listeners will get a sense of the advanced pediatric care that is being provided to children in North Texas every day at Children’s Medical Center. The on-air personalities from 103.7 Lite FM will be interviewing children and their families who have received exceptional care at Children’s and will be asking listeners to call in and make a gift. The holiday music and inspirational stories of children cared for at Children’s will really help you feel the true spirit of the Christmas season. Please share this with your family and friends and start a new tradition of making a gift that makes a difference. Volunteers will be on the phones today from 11:45 am until 2pm. Today Jason Castro from American Idol fame was on singing Silent Night. Kimberly Schlegel Whitman, Steve Kembel and yours truly were on site decorating a wagon for the children. Please call 1-877-719-5437(kids) NOW to start your donation tradition for Children’s Medical! The holiday season is the busiest for the jewelery industry. 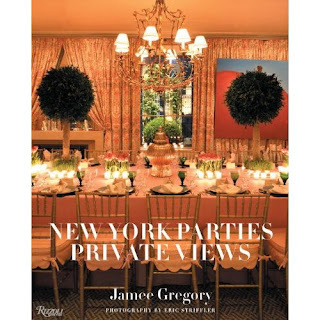 Here are some fabulous books with amazing photographs, stories and designs. Maybe there is something here for you this holiday season! Paul Flato was a name more recognized in Hollywood in the 30’s and 40″s than that of Tiffany’s. 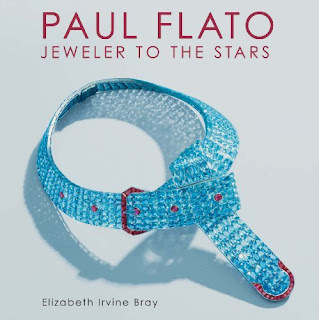 He grew up in rural Texas and went off to Manhattan where he worked for jewelers before opening his own boutique there. His genius lay in eccentric designs and unlikely color combinations. His clients where the who’s who of the time. Fascinating story. 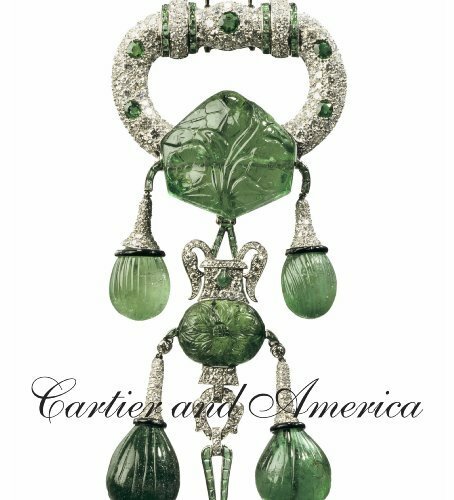 Cartier and America have been together now for over 100 years since Cartier opened their first store in New York City. Gorgeous photographs and makes for a perfect gift! What is Mercury Glass? 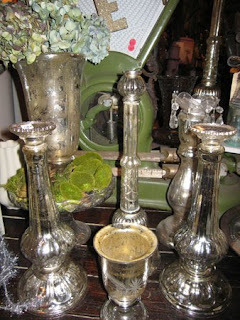 Mercury glass, also known as silvered glass, contains neither mercury nor silver. It’s actually clear glass, mold-blown into double-walled shapes and coated on the inside with a silvering formula, which is inserted though a small hole that is then sealed with a plug. A few manufacturers did, for a time, try to line their glass with a mercury solution; this practice was discontinued due to expense and toxicity, but it helps explain the origin of the misnomer. First discovered in early-19th-century Germany, mercury glass was used as an inexpensive and tarnish-free substitute for silver in such objects as candlesticks and doorknobs. It then gained favor in France and England, where it was made into useful household wares like vases and goblets, and in America, where it was turned into glass vases, goblets, tankards, sugar basins, tumblers, and even spittoons. Some critics condemned it for “looking too much like mirror and too little like silver,” which is precisely what people liked about it. At worst, mirror attracts a few vain glances, while genuine silver attracts thieves. Appreciation for the inexpensive baubles rose, until the advent of the lightbulb: in “modern” light, no burglar would mistake glass for silver! 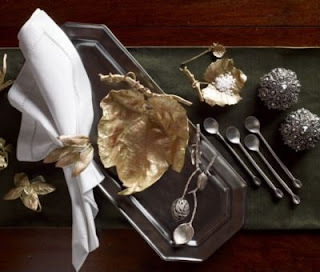 We are seeing mercury glass the last few years in many of our popular stores and especially during the holidays, but this doesn’t have to be displayed just at this seasonal time of year. Enjoy it all year long and no polishing! !